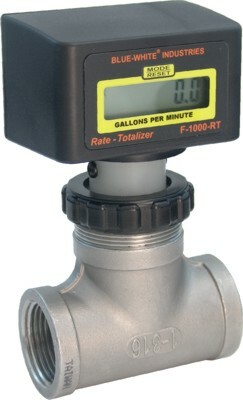 Model F-1000-RB:The F-1000-RB is the basic rate meter. The meter will display the rate of flow from .01 through 999999 in any engineering units. Some standard units of measure are GPM, GPH, GPD, LPM, LPH, LPD, M3H, etc.